The LRWP got its start as a group of concerned “civic scientists” seeking data on the health and safety of the water in New Jersey’s Raritan River. Now a partnership of citizens, non-profits, government representatives, University researchers, business representatives and others we continue to gather data through civic science. We use this information to prioritize our stewardship and advocacy work with the goal of improving the quality of the water in the Raritan River and the health of the Lower Raritan Watershed ecosystem. While LRWP’s mission focuses on the protection, preservation and restoration of habitat and biodiversity within our Lower Raritan Watershed, our civic science approach speaks to another core purpose: by training community volunteers to monitor and report on the health of the environment we work to ensure that science, community engagement and environmental stewardship become a permanent part of the culture and identity of the Lower Raritan Watershed. -Environmental stewards and educators in formal and informal settings. -Advocates for the restoration of historic watershed functions. -A collaboration of environmentalists, artists, businesses, innovators, planners, engineers, policy makers and others working to advance our watershed health and restoration goals. Meet Jorge – the LRWP mascot! Jorge’s design was inspired by turtle gourds made by the Oaxacan community (a community with a significant presence in the LRW) and also references the Lenape myth of the “Great Turtle,” which involves creation of the Lenape homeland by placing the earth on the back of a giant turtle. Turtles are known as an indicator species and are a key part of a balanced ecosystem. Jorge is our mascot for use in school and youth outreach, a core focus of our work. 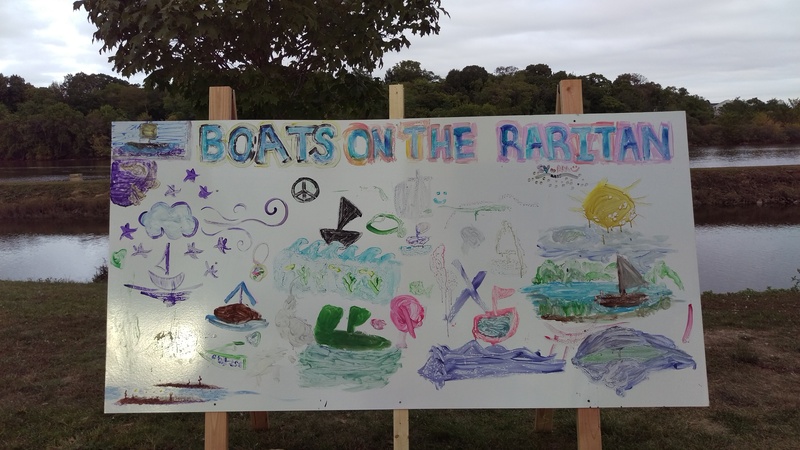 The LRWP works to be a source of information about the health of the Raritan River and her watershed, a source of inspiration for individuals and groups looking to connect with nature through science, recreation and discovery, and a source of community innovation around environmental stewardship and restoration.